Hello. I have repeatedly suffered from strange difficulties on an even ground in Kiсad. And so I have a few questions. Tell me how to design the PCB to make the elements are installed as the tracks at a certain distance and were not put closer. Otherwise, you have to constantly move the body of different elements so that they are all at equal distances from each other. Why when searching and assigning seats for a separate element there is no built-in browser of the type of this seat. A browser can run in a separate window (View selected footprint), which is terribly indescribably inconvenient. How and where can I choose the type and view of thermalload for the contact pad? 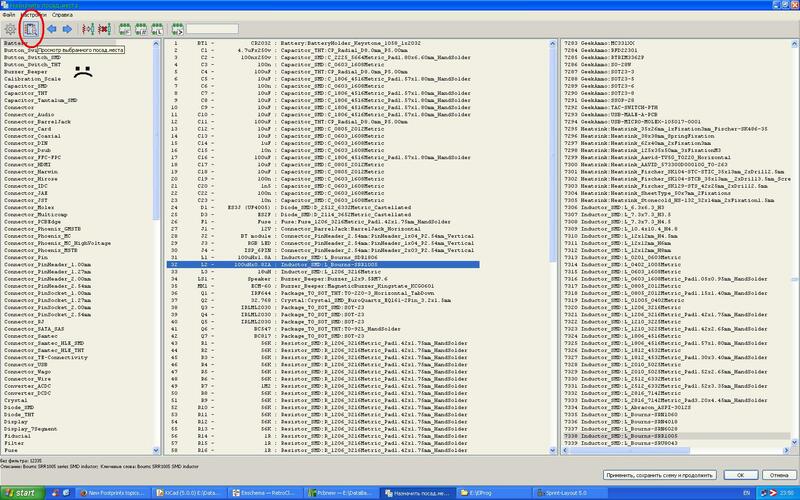 However, even in such a simple PCBeditor as a Sprint Layout, everything changes elementarily. Why when searching and assigning seats for a separate element there is no built-in browser of the type of this seat. More details see: How can i assign a footprint to a symbol? Since version 5 courtyard is checked by the rule checker. In your screenshot you measure relative to what i assume is the courtyard outline. You do not measure against the body size of the component! It does not matter how to measure. I just need to set a strict distance between the components on the board. So that the distance between the elements on the PCB, during installation and positioning, could not be less than the specified. Just as the minimum clearance is specified in the design rules for printed conductors or in other words for flat tracks. That is what the courtyard layer is for. 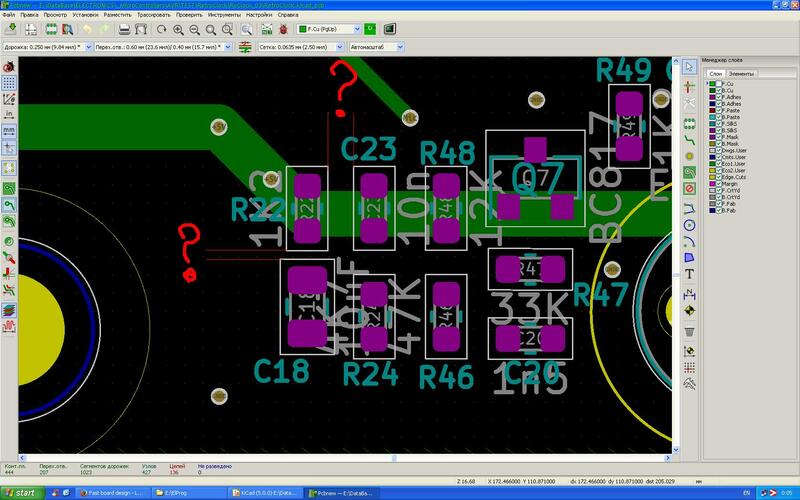 Draw the area you need for installing a particular component onto it and kicad will complain if you place another component too close. I do not need an area for a specific component. I need a rule for all components and for any components. Just as rules are created for all printed conductors. I do not remember where to read about it. I was hoping that this should be all in the menu. But where I do not know. Unfortunately there is not much written about courtyards in the KiCad documentation. From what I understand the Courtyard is the area of the component, with extra room around it, so it can be placed on the PCB by automated equipment. Some work with suchtion cups on the top of components to place them on the PCB, but for other components there may be grabbers on the side of the componets, which also needs some clearance. If the courtyards are designed well, then the courtyards of the components can be placed touching each other, but not overlapping. 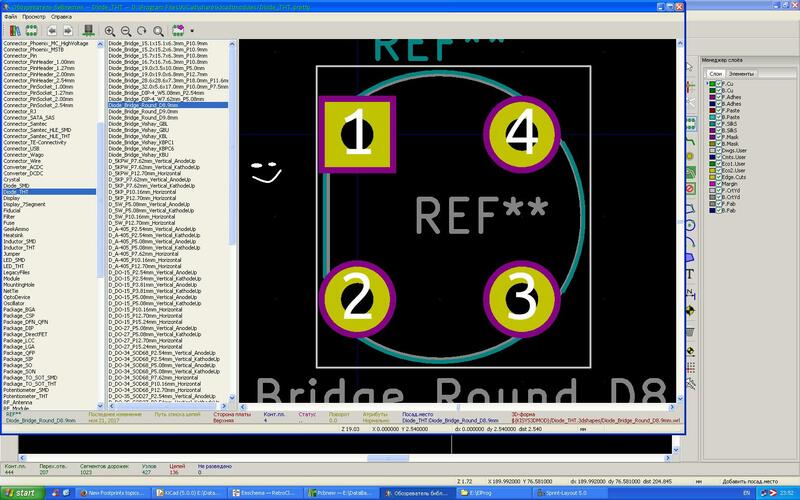 In this KiCad handles them differently from the clearance between tracks. When you do a DRC check in Pcbnew, it can generate errors for overlapping courtyards. To get a better Idea of the pre-defined courtyard size compared to the components themself, move a few components in such a way that the courtyards are just touching, and then view your PCB in the 3D viewer. Often though, the courtyard is not the limiting factor. quite often you need to space the components further apart to have enough room to lay the tracks. I think there are some general guidelines for courtyard sizes. A general search on Internet may be usefull to get more info. 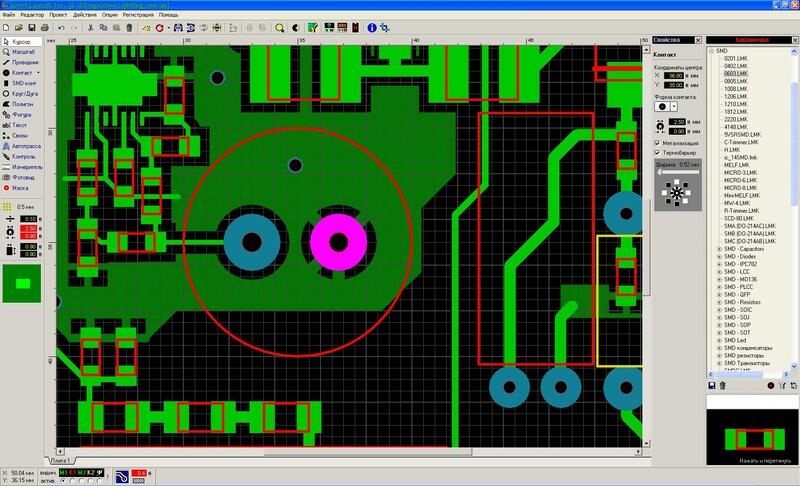 What is the meaning of the layers in pcb_new and in the footprint editor?